temple, they built the foundation of the temple. But their enemies didn’t want them to build the temple. God’s people didn’t want any trouble, so they stopped. God sent the prophets Haggai and Zechariah to encourage the people. So the leaders—Zerubbabel and Jeshua [Joshua]—started working on the temple again. At this time, a governor named Tattenai (TAT ih nigh) saw the rebuilding had started again. Tattenai worked for King Darius (duh RIGH uhs), the king of Persia. Tattenai had been put in charge of some of the land, including Judah. Tattenai talked to Zerubbabel and the others working on the temple. “Do you have permission to rebuild this temple?” Tattenai asked. Tattenai sent a report to King Darius. While he waited for an answer, God’s people kept building. King Cyrus had also ordered for the cost of building the temple to be paid for out of the royal treasury. He ordered all the gold and silver things that King Nebuchadnezzar had taken from the first temple to be returned to Jerusalem. Tattenai and the other of cials obeyed King Darius’s order. 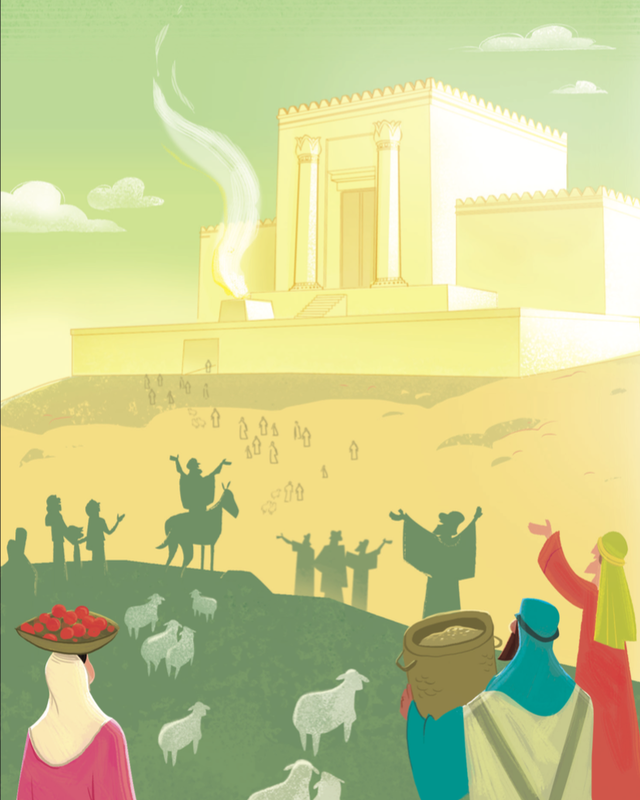 The Jewish leaders kept building, and they finally finished the temple of God. What a happy time that was! The people celebrated and made offerings to God. They chose priests and assistants to serve in the temple. Then God’s people celebrated the Passover. They killed the Passover lamb and ate the Passover meal. God’s people were so happy because God had changed King Darius’s heart so that he wanted to help them. Now the temple of God was finally complete. 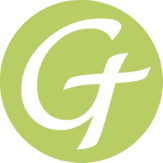 Christ Connection: God’s people rebuilt the temple so they would have a place to worship God. Years later, God sent His Son, Jesus, to be with His people. Now God dwells not in the temple, but directly with His people. 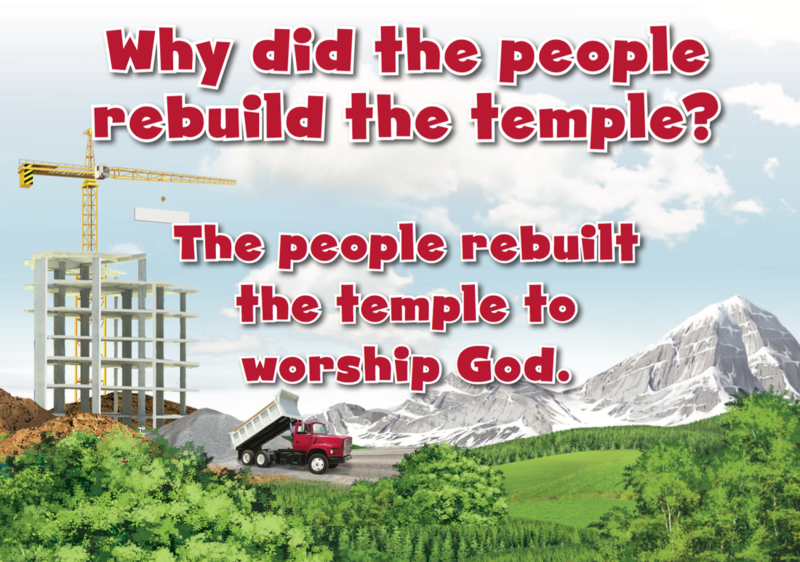 Because of Jesus, we don’t need a temple anymore.